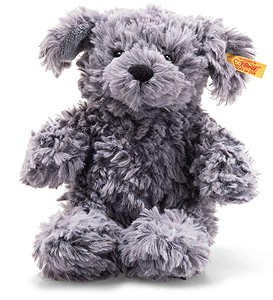 Toni Dog is hand made in the finest blue grey cuddly soft plush. 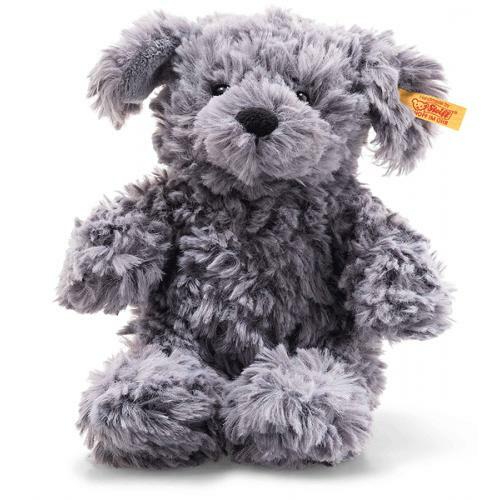 The 18 cm tall Soft Cuddly Friends Toni dog has soft and cuddly, slate blue-grey plush fur, a black nose and a black, embroidered mouth. His long ears are offset on the inside with a grey material mix. Thanks to the bean bags sewn into his paws, feet and bottom, he can be held onto really well and be set in any position. Toni dog is a must-have for every child's bedroom.